The elevator of the Brussels Atomium moves with a speed of 5 meter per second (16.4 ft per second). The elevator has a glass ceiling, letting you look into the shaft while it moves. 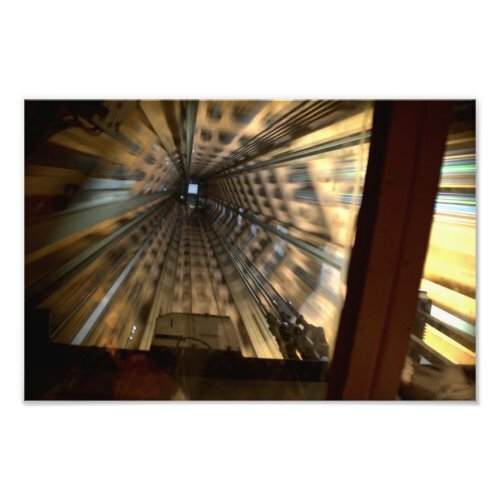 I took this photo looking up, while the elevator was moving down.